Call us at (815) 729-1111! 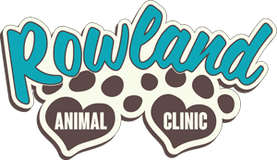 Rowland Animal Clinic offers complete veterinary care for your furry friend. We are conveniently located in Crest Hill, IL and Doc looks forward to working with you and your pet. Our dedicated staff provides the compassionate care every animal deserves. Rowland Animal Clinic hopes to be the veterinary facility you and your furry family members always rely on. With Dr. Rowland, your pet will always be in good hands. Our talented team provides quality and compassionate veterinary service with a gentle touch, every time. Whether it's an annual check-up or a routine dental cleaning, Dr. Rowland can expertly handle the job. Primarily providing medical services for dogs and cats of all breeds- concentrating on animal wellness and preventative care. Our on site pharmacy can take care of all of your pets prescription needs. We kindly request 24 hours notice for all prescription refills. Payment in full is requested at time of visit. Thank you.